Registration is now open! Click on the link below to register! 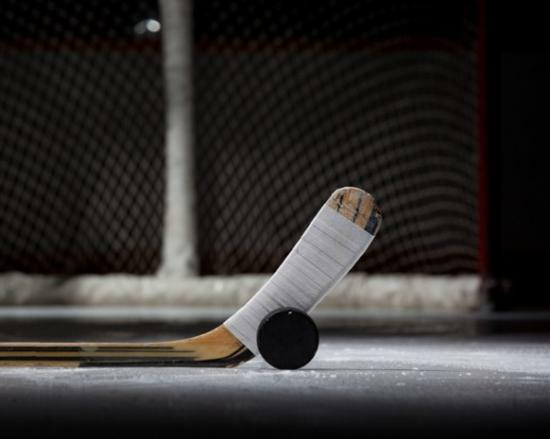 Learn to Play Hockey- - No experience required, new players welcome! KC Ice Center is excited to provide children ages 3 to 10 an opportunity to learn the sport of hockey in a fun and energetic environment. Our beginner hockey program divides the ice into three zones, each one tailored to the children's skill level. Our program will offer three levels of hockey, Rookies, Little Stars, and All Stars. Each level will focus on specific hockey skills. Rookies - Hockey 1: No skating experience required. This is an introductory skating program for beginning boys and girls. Instructors teach entry level skating techniques and the basic skating skills of hockey. Jersey and skates are provided. Other equipment required: hockey helmet with cage, gloves, mouth guard, and stick. Little Stars - Hockey 2: In addition to strengthening entry level skating techniques, Little Stars will focus on controlling forward skating and turning. Basic hockey skills with a stick and puck will be introduced including stick handling, passing, and shooting. Jersey and skates are provided. Other equipment required: hockey helmet with cage, gloves, mouth guard, and stick. All Stars - Hockey 3: Experience the magic of scoring goals! All Stars will reinforce the basic hockey skating skills plus teach hockey stops and crossovers. Skaters will also work on puck handling, passing and shooting. 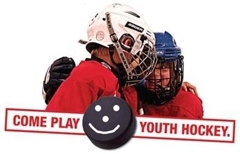 In addition to skating and hockey skills, a fun activity may be planned toward the end of the session including tag, relay race, ice-soccer, or mini-scrimmage. This level is appropriate for Atoms who want to improve their skills. Full hockey gear is required for this class! Jersey is provided. Note: Coaches will evaluate players on the first day to determine proper placement. For more information or questions, please call Dean Nelson at 913-441-3033. Player provides - Hockey Helmet with Cage, Mouthguard, Hockey Stick, Gloves, Elbow pads, Shoulder pads, Compression shorts, Breezers (hockey pants), Shin guards, Hockey socks.